There are many air fryer recipes that we can use for making our daily meals healthier and more relishing. They can help you in preparing low-fat meals. It helps in producing healthier food. The residue is collected in a separate container. You do not need to bear the unwanted aroma of frying. It is faster in frying. The best advantage that I can think of to cook in an air fryer is because it prepares things for you in no time. In the world of today, you want tasty food for yourself in a short while and how convenient it becomes if it is healthier too. I started using Philips AirFryer to cook recently and i found plenty of dishes can be cooked in it. I did some research online and found many air fryer recipes. Besides French fries, you can even have muffins for breakfast or may be chicken tenders with rice will look perfect for dinner; air-fryer can cook all these for you. It helps us in cooking delicious and healthier food for us as well as for our guests. Air- Fryer can be a partner of yours in cooking the yummiest food without the risk of you gaining weight. All you need to do is it buy it and bring it home to be with you during your meals. You can even prepare snacks for teatime to have with your family. People who want to lose weight and do not have the guts to go on dieting can cook dishes like grilled vegetables and chicken in them. They can even enjoy their dieting. The most satisfying is to get fast yet healthy food to eat. Anyone who is looking for healthier food, low-fat food, crispy and crunchy food can easily get it through the use of air-fryer. Most people loves fried food but it is a chore to fry your own foods at home. Lots of cleaning are required after frying. Moreover, having too much oily fried food is unhealthy and bad for the health. I will be sharing some air fryer recipes that I found and also some that I have created in this website. I hope that you will like them. 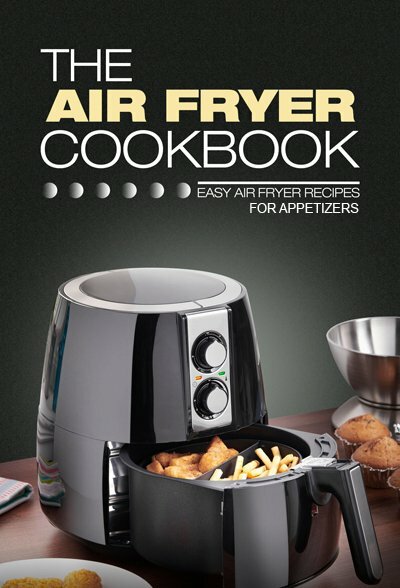 get more air fryer recipes on you mobile phone.